Start your day with a delicious breakfast. 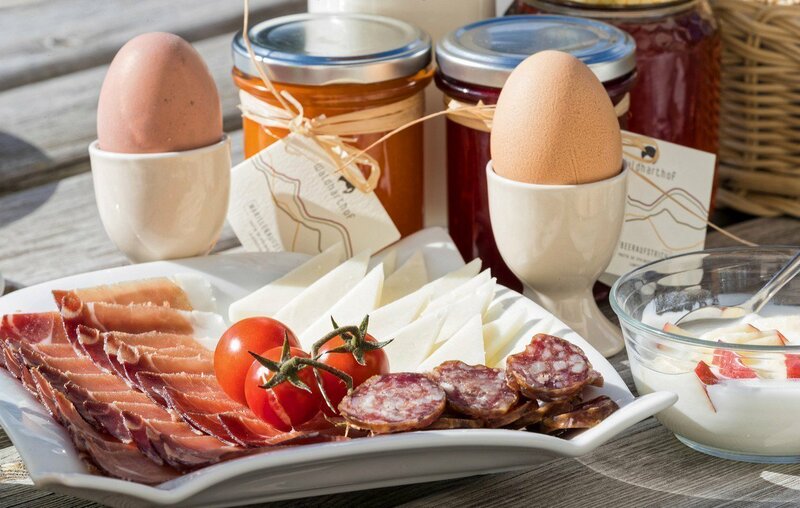 We will gladly provide on request a breakfast basket with our own products, what is actually more comfortable than starting the day in your pajamas or on the balcony relaxed and invigorated? The day before you select the desired ingredients and the next morning the freshly packed breakfast basket with homemade products will be in front of your door. From crispy hot rolls, apple juice, assorted jams you will find everything your heart desires.